This was six years ago and thankfully much has changed since than but what remains is my wish to do better and make life with kids every bit as beautiful, fashionable, colorful, trendy and full of great designs as it possibly can be ! With all of this in mind, I created Littllestarblog after the birth of my second child as a way to bring the German and the international English-speaking community closer together by sharing child-related topics across the globe, for everyone to enjoy. Littlestarblog not only reflects my passion for children’s photography and interior design, on it I also cover everything from events such as birthday parties, posts about local kids stores, unique design ideas, children’s fashion from all over the world, parenting news, to hot new topics such as technology and new media – always with families in mind ! Do you ave a question, a suggestion or a comment? I love to hear from you so do not hesitate to comment or send me an email ! Littlestarblog welcomes submissions from artists, designers, and shops. If you have a product you would like me to review I are always interested in hearing about it ! If you have a product you would like to give away for one of my sweepstakes, please get in touch with me – I would very much appreciate it ! 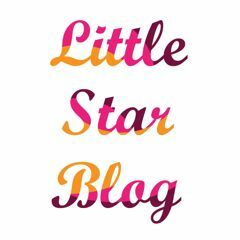 If you think Littlestarblog would be a good fit for your child-related product or brand and would like to place an ad on our site, don’t hesitate to contact us at any time. Littlestarblog offers flexible rates for 125 x 125 ads, as well as for customized ads. Just let us know what you have in mind and we’ll get back to you with details asap.